Get fast, reliable internet service to help you grow your business. Save your data and stay connected at over 70,000 Shaw Go WiFi hotspots. Included with any Business Internet plan. Experience dedicated, professional support, whenever you need it, so you can get back to business. with big-business WiFi at a small business price. 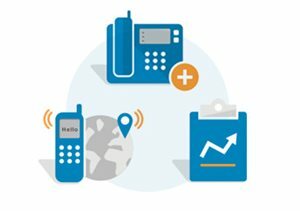 Multi-line Hunt enables your business to simultaneously accept multiple incoming calls from one dialed number. When your primary number is busy or unanswered, calls continue to the next available line until the call is answered, or finishing at the main number's voicemail. Simultaneous Ring enables your office phone to ring at the same time as any other numbers you assign, even mobile phones, so no important call goes unnoticed. Our most popular plan with 18 features including 3-way calling and voicemail to email for one low price. Benefit from discounted pricing on Business Phone when bundled with one of our Business Internet or SmartWiFi plans. Our most popular plan with 18 features including 3-way calling and voicemail to email for one low price. Long distance plans are available. SmartWiFi is our smartest business Internet; it's an enterprise-grade WiFi solution, designed specifically for small business. Keep your family entertained with everyone's favourite shows, movies, sports and local news. Do everything super-fast, like: POS, sharing files, video conferencing and connecting to the Cloud. Separate wireless networks for employees, customers and Shaw Go WiFi users so your business continues to run at the speed you need, without interruptions. Display special offers and extend your brand through a custom login page for your guests. You and your guests can stream, share and download as much as your business needs, without worrying about extra data charges. designed specifically for small business. Your clients are everything , and we get that. That's why we provide support when you need it, reliable networks and the ability to scale up as your business grows. We treat your business like our own, because that's exactly what it is. Protect your business from the latest viruses, malware or malicious hackers with automatic security updates sent directly from the Cloud. Plus, easily and automatically secure all your locations and allow your employees—onsite and offsite—to share files safely through a secure VPN. Your clients are everything, and we get that. That's why we provide support when you need it, reliable networks and the ability to scale up as your business grows. We treat your business like our own, because that's exactly what it is. ‡ The feature free Shaw to Shaw Calling is limited to calls made from and to Shaw Home Phone and Shaw Business Phone (Shaw Business Phone Plus and Shaw Business Phone). For any other calls long-distance charges apply as outlined above. Offer subject to change without notice. Δ Unlimited long-distance calling is available for calls within Canada and to the U.S with the exception for calls made in and to NWT area code 867, Hawaii area code 808, and Alaska area code 907. International long-distance calls to mobile/cellular/specialty numbers, including international services such as premium services, international pages services, international audio-to-text-messaging services and non-geographic or satellite phone numbers are not included with the Unlimited Long-Distance call feature.